One of the best things about AR-15 is that they are like a lego set - all parts are interchangeable. You can start with a very basic rifle, shoot it, change the barrel, shoot it more, change the stock and grip, shoot more, change the trigger... And so on. Any part from any AR-15 will fit any other AR-15. But when it comes to its bigger brother, AR-10, the story is not quite the same. 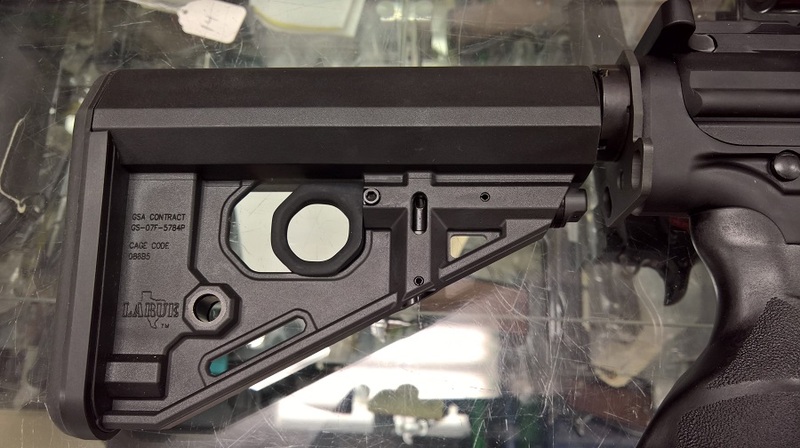 Some components from AR-15 platform fit AR-10: trigger, furniture, buffer tube - but many components are custom and will only work with the receivers from a particular manufacturer. On top of this, far fewer companies make parts for AR-10 than for AR-15. Because the platform is not commoditized, prices are a lot higher. 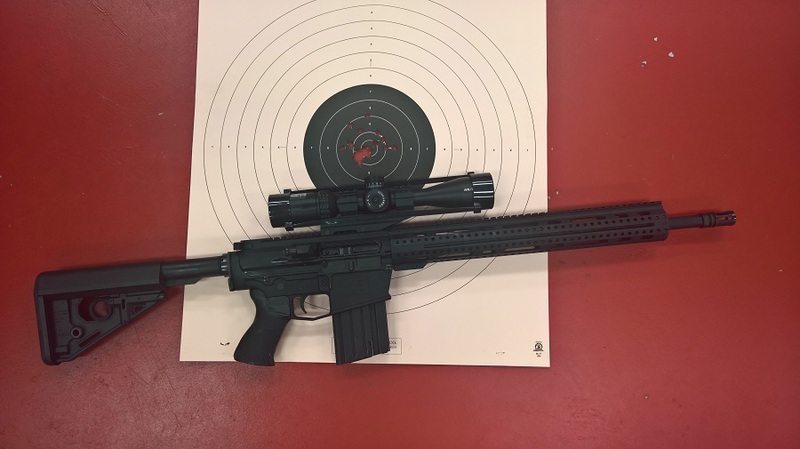 It is typically easy to build a low-end AR-15 for just around $500, and many inexpensive compete rifles are sold for about the same price (as of this writing in 2016). 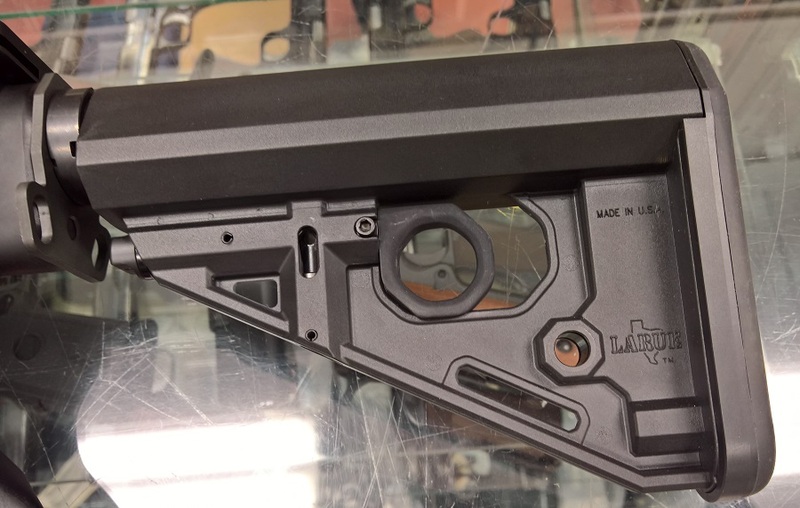 By contrast, upper receiver, lower receiver, and bolt for AR-10 each cost about $200, making just the rifle's midsection cost $600. 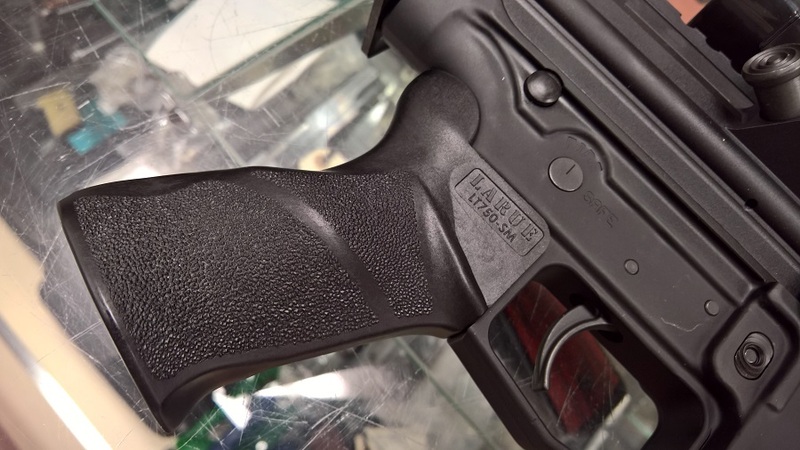 All everything else - and many components are a lot more expensive than their AR-15 equivalents - and it turns out that even the most basic build would cost around $1000, and factory rifles are hard or impossible to get below $1000. 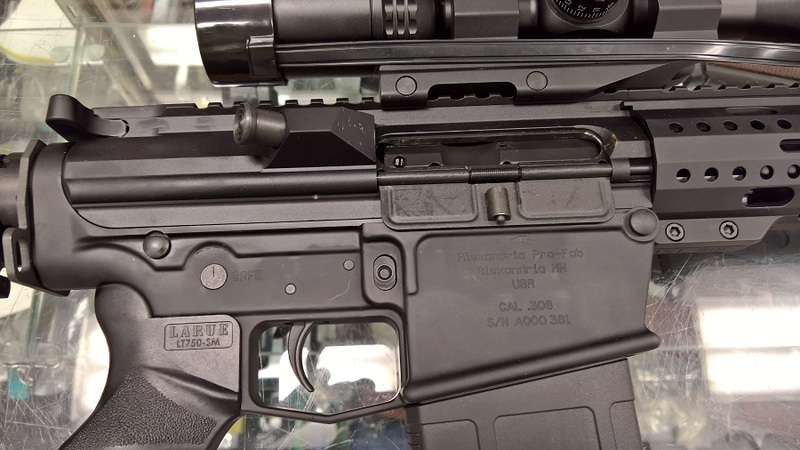 So when I saw Alexandria Pro-FAB stripped lower and complete upper (including the bolt and the charging handle), with the street price of $150 and $520 respectively, I was quite impressed. 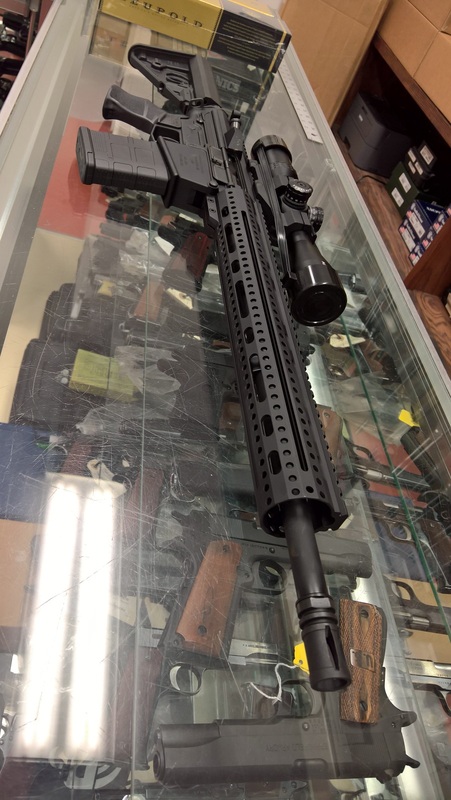 Add the buffer kit from Anderson for $65 and DPMS 308 LPK for $70, and you got yourself the rifle at the cost of $800 plus the cost of the furniture. I did just that, except I used LaRue stock and pistol grip, bringing the retail cost of the complete rifle - as sold in the store - to just over $900. 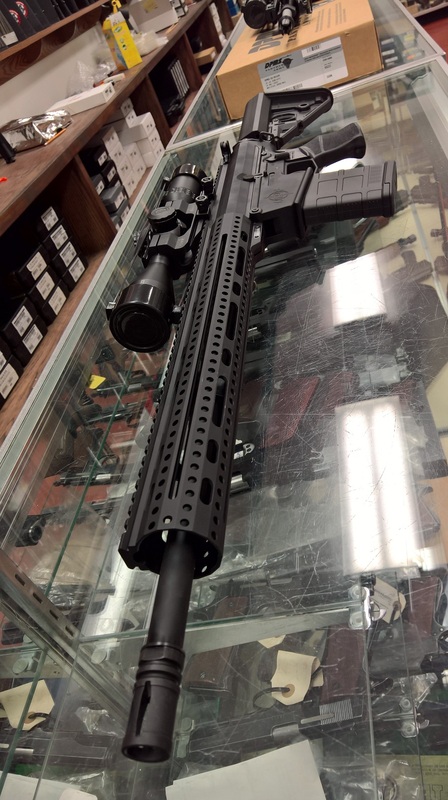 That's where the wholesale prices for the cheapest AR-10s start, though as of this writing the cheapest rifle actually in stock at my distributors had a wholesale price of $1100. In fact, given the obscenely low price, I built two of them for myself. ...and feels very comfotable. A similarly equipped rifle starts at around $1200 at the distributor. It cost me a fraction of the price. One tricky thing was finding the right buffer. 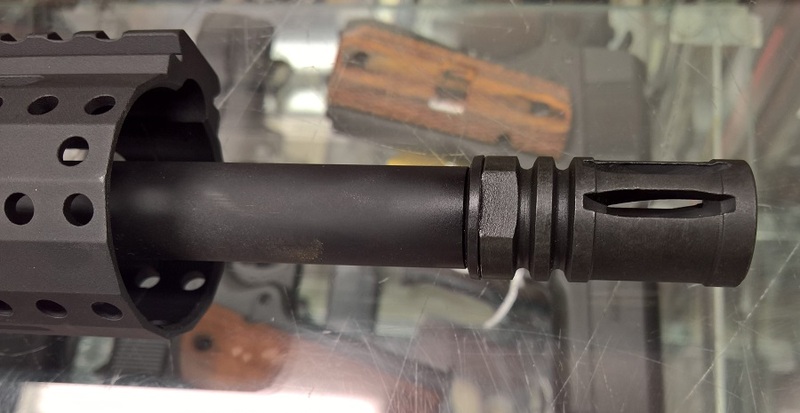 It turns out, AR-10s use a different buffer from AR-15, and finding the right one was quite hard. I settled on a buffer kit from Anderson. 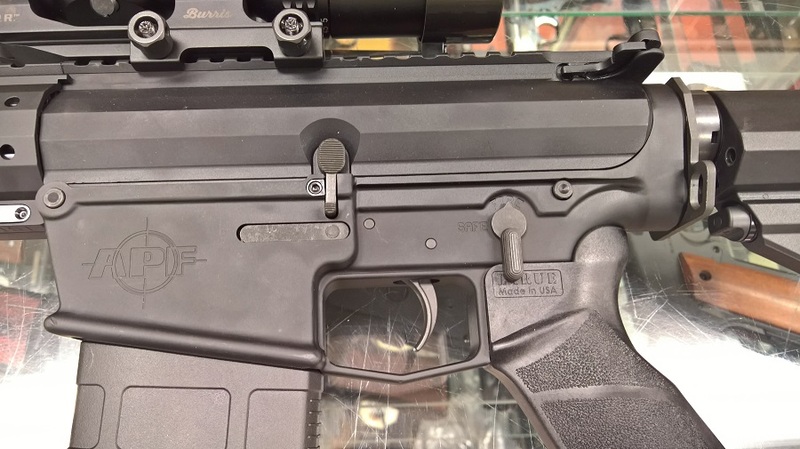 It was twice the price of the similar kit for a regular AR, and as we will see below, had a problem. Getting the kit from Anderson took some time. 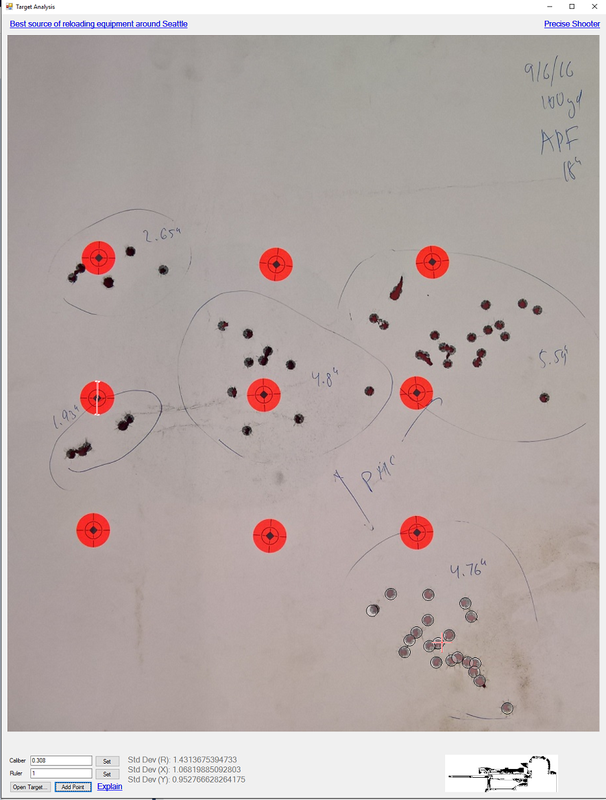 When I finally made it to the range, the rifle shot OK in terms of accuracy - by no means it was a match rifle, of course, but I was dumping boxes of cheap ammunition 4-5" circles - acceptable for a semi-auto plinker. I put Bushnell AR223 4.5-18 scope (none of my distributors carry AR308!) in a Burris P.E.R.P. mount on both of the rifles. 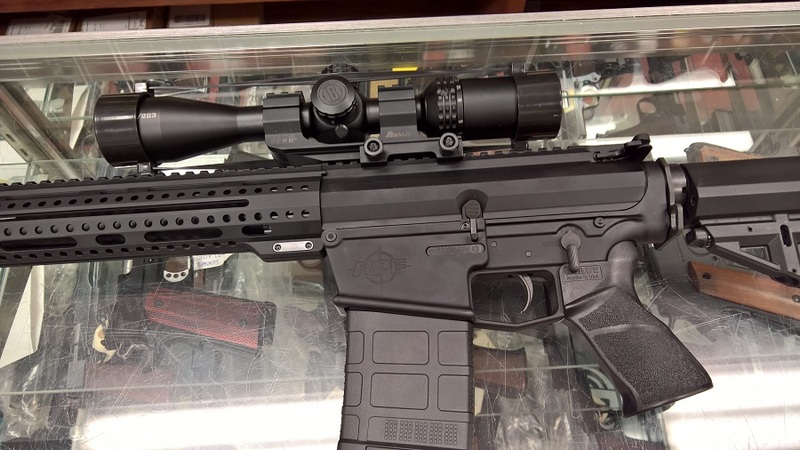 This setup is my favorite as far as AR optics go - relatively cheap, very clear optics, side parallax adjustment down to 10 yards, and I own a lot of Bushnell scopes, both for rifles and handguns, and they were super reliable in my experience. A big problem, however - the rifle kept jamming, with failures to eject happening 5-6 times per 20 round magazine. This actually was a deal breaker! 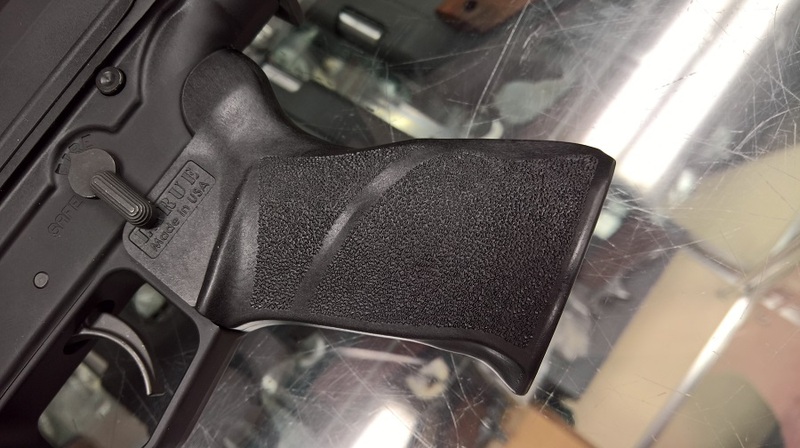 I tried it with Magpul magazines, and I tried it with DPMS magazines, and, since I had two of them, I tried them both - with multiple types of ammunition. Both rifles just kept on jamming! From the start, I did suspect the buffer and the spring. AR-10 uses the same buffer tube, but different buffer and different spring, which is why I got the Anderson kit. However, Anderson is very clear on their web site that their parts work only with their rifles. On the other hand, Alexandria Pro-FAB says that their parts are DPMS compatible. So when I finally got myself a href="DPMSG2RECON.aspx">DPMS G2 Recon rifle, I knew than I could finally test my theory. I weighed the buffer from the DPMS rifle, and it was the same as Anderson. I compared the springs, and that's where the difference was - DPMS spring was longer. I took both rifles to the range, and substituted Anderson spring with the one from DPMS - problem solved, no more jam-o-rama! Both DPMS and Magpul magazines functioned flawlessly with the new setup. 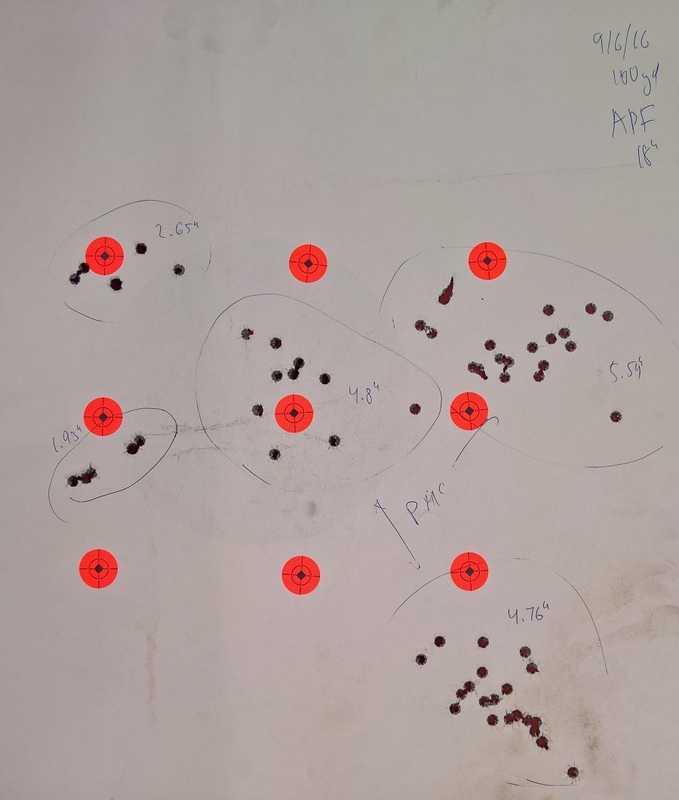 After the jamming problem was fixed, I tried two types of ammunition - inexpensive 147gr PMC, and Federal Gold Medal Match with 175gr Sierra Matchking bullets. As you can see, the differences are quite remarkable. Federal produced groups (of five) between 2 and 2.5". The dispersion was PMC was a lot more. I used my target analyzer to compute the standard deviation on PMC groups. 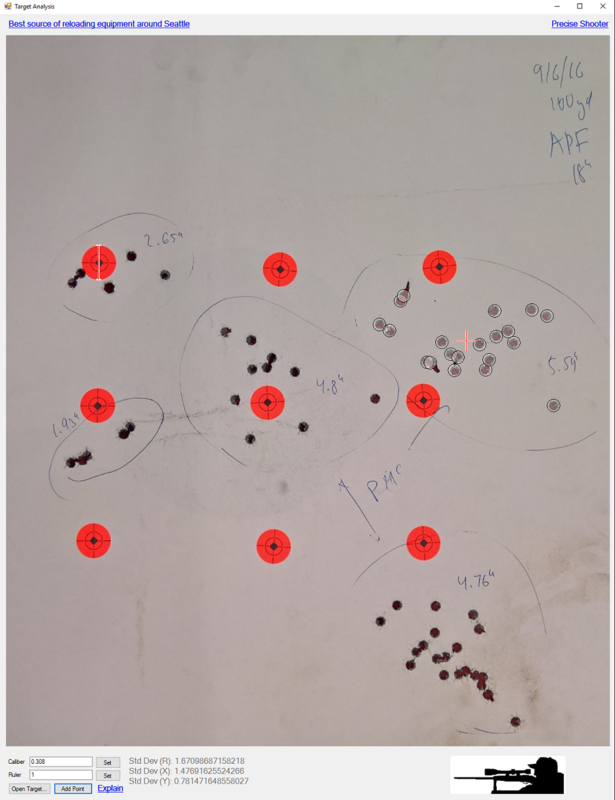 As you can see, the standard deviation for PMC was in 1.5" range - which means that with the probability of 99.7% the shot will not miss the target by more than 5" at 100 yards, (and with the 95% probability it will be no more than 3" off) but this is not a match rifle by any means. The last two groups of 20 rounds were dumped into the target at a very fast rate, heating the barrel considerably. As you can see from the target, the group actually shrunk as the barrel got very hot - the rifle must have settled into some equilibrium point where it was cooling at the same rate it was heating, and thermal expansion have ceased, and the target stopped walking. In the future I will experiment with replacing the barrel with a higher quality one, and we will see if this makes a difference in groups. Stay tuned!